Polaroid, following the suit of competing companies like Canon & Kodak, enters the 3D printing market with the launch of its own range of 3D printers at CES 2018. With these easy-to-use 3D printers launched by Polaroid, it aims to capture a significant share from the ever-so-growing global market. 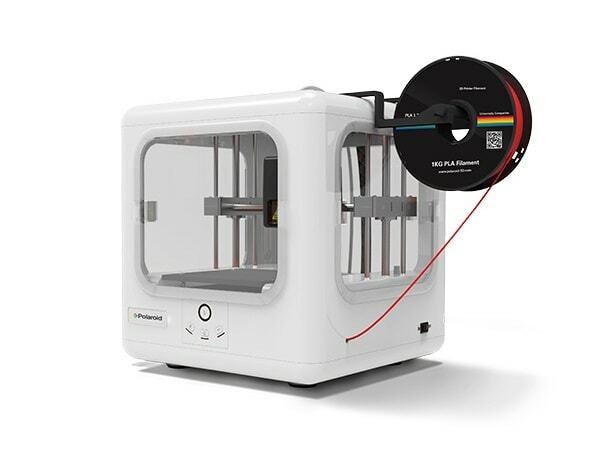 One of the most recognised brands in the world and with a rich 80 year legacy, Polaroid, has added a new product to their portfolio, a 3D Printer. The company which sells instant cameras, film and even eyewear are now venturing in the 3D printing market by launching four new consumer-friendly 3D printers for home, classroom and office use. These new 3D printers are said to be extremely easy-to-use, with a compact & sleek design and targeted towards anyone who wants to easily print simple functional parts for everyday use. As of now, these printers will only cater to the US and Canadian market. The four printers, Polaroid Nano Duo, Polaroid Nano Mini, Polaroid Nano Glide, & Polaroid Nano+ offer different features and some basic functionalities like dual extruders, built-in Camera, remote control though WiFi and a dedicated smartphone app, small to large bed size, etc. The price ranges from $349 to $1849.